Obamacare: People With Disabilities Face Complex Choices : Shots - Health News The Affordable Care Act sets up categories of essential health benefits that insurance plans must cover. Some categories, such as maternity care and drug abuse treatment, are straightforward. But "habilitative services" — including treatments like physical and speech therapy — are much more subjective. 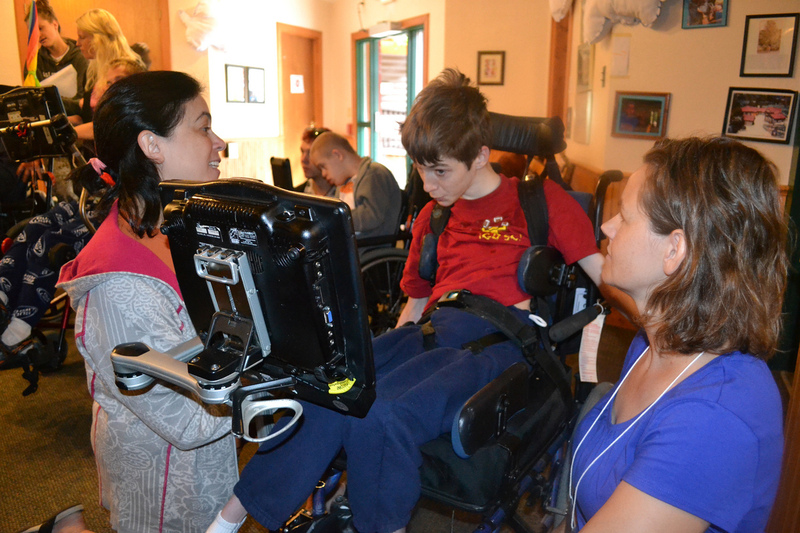 Speech-language pathologists Jill Tullman (left) and Mendi Carroll (right) work with Bryce Vernon at Talking with Technology Camp in Empire, Colo., on July 25. The Affordable Care Act has set new standards — called essential health benefits — outlining what health insurance companies must now cover. But there's a catch: Insurance firms can still pick and choose, to some degree, which specific therapies they'll cover within some categories of benefit. And the way insurers interpret the rules could turn out to be a big deal for people with disabilities who need ongoing therapy. Bryce Vernon is a 20-year-old film student who lives in Los Angeles and has cerebral palsy. He speaks only with the aid of a special computer that is mounted to his wheelchair and tracks his eye movements. Using his eyes, Vernon can indicate on a screen which letters and words he wants the computer's voice to say. 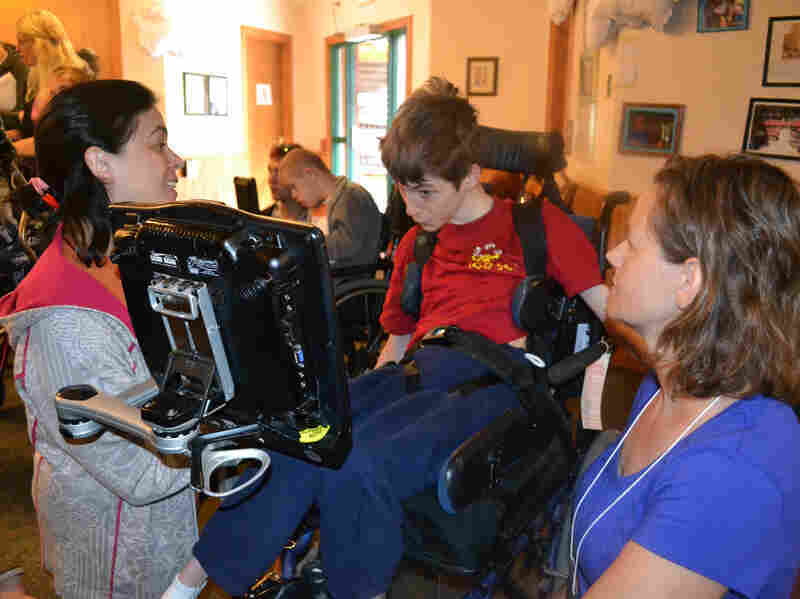 It's amazing technology, and Vernon gets a lot more out of it with help from speech-language pathologist Jill Tullman. The Affordable Care Act is changing that, says health economist Lisa Clemans-Cope, a health economist with the Urban Institute. Jill Tappert, an activist in Colorado for people with disabilities, says a lot of details still need to be sorted out before she'll be able to say whether the health care law has improved things much.